College graduation is a wonderful achievement for the future of graduates. Studies have shown that degree holders earn at least $1 million more over the course of their lifetime than high school graduates. This is also a time when difficult career decisions will be made. Do you become a teacher, lawyer or doctor and work for someone else? Or do you feel called to pursue a different path and start your own business. You might want to blaze a trail like so many successful college-aged entrepreneurs. Mark Zuckerberg, for example, started Facebook in his dorm, as did Michael Dell of Dell computer fame. Fred Smith, the legendary founder of FedEx, was inspired to start his firm after writing about the potential market opportunity for an overnight delivery company in his economics class despite receiving a C on his paper. Many successful entrepreneurs got their start straight out of college. You can do the same! Here are a few questions you might want to consider before embarking on a career as an entrepreneur. Starting a business can be one of the most rewarding experiences life has to offer. However, it is important to make sure that you are prepared. 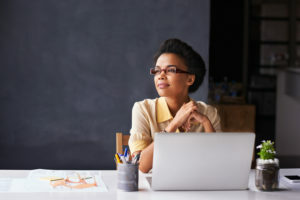 Passion is one of the most critical determining factors in the success of a new venture, but it’s not enough to merely want to be your own boss—you need to be passionate about your new endeavor. Moreover, the life of an entrepreneur isn’t always easy. It’s time-consuming, highly-competitive and requires you to assume responsibility for every aspect of your business. Simply being young doesn’t mean you aren’t ready, but you do need to ask yourself if you are prepared for the journey. Do you have a mentor or support group? Some of the greatest ideas in the world come from brand new college graduates. And this is one reason why Silicon Valley values young entrepreneurs as much as they do. Young people are bursting with energy and creative insight. But what they typically lack is experience. That’s why it’s crucial that young entrepreneurs have a mentor or a support group they can rely on to guide them in the right direction. These connections can play a pivotal role in your success. Can you secure enough funding? Although young entrepreneurs generate brilliant and innovative ideas, they sometimes struggle to obtain sufficient capital to start their own business. As a recent college graduate, you probably haven’t had time to save money, and lending institutions will be more skeptical to do so without seeing a solid history of doing so. That’s why it’s important to ensure you have access to enough funding to launch your company and keep it afloat until it takes off. Lack of money or mismanagement of funds through inexperience are common reasons why many startups fail. Do you understand that failure is a stepping stone to success? If you have a conventional office job, failing is rarely a good thing. But entrepreneurship is different. Sometimes, the most incredible successes result from failure. Here’s a great example: YouTube was originally a video dating site. Although this idea failed, it led to a successful worldwide phenomenon. This is actually common in entrepreneurship, as ideas need time to mature and a few attempts until they are perfected. Failure, then, is often simply delayed success in another guise. The key is to perceive failure as a stepping stone, leading to a greater opportunity and a more successful outcome. Graduating from college is an exciting time! Explore your passions and pursue a career as an entrepreneur if you are prepared for the journey, have a mentor, enough capital and a resilient spirit. Contact me today if you are interested in pursuing entrepreneurship.